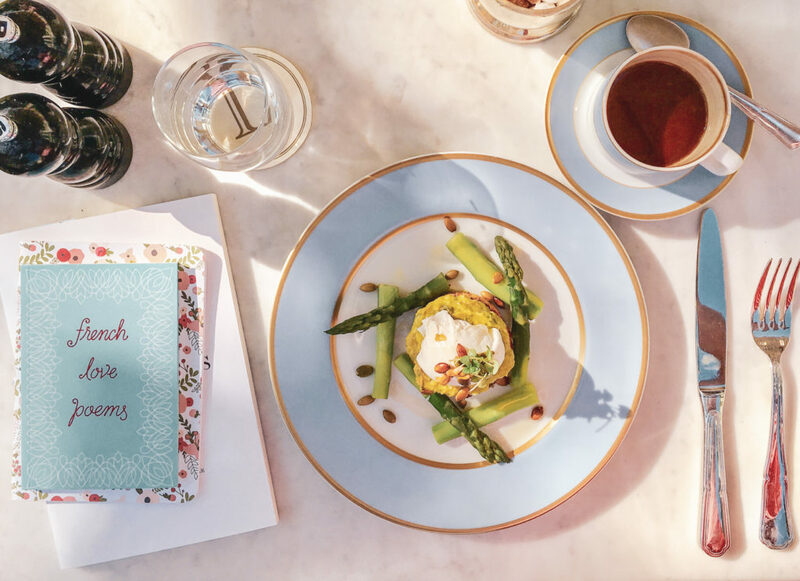 Those who know Ladurée will tell you there is no better place for Parisian wanderlust than a visit to one of their colorful pâtisseries. 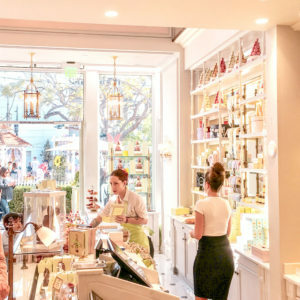 Founded in 1862, the bakery famous for inventing the instagram worthy double-decker macaron is now open in cities all over the world, including West Hollywood. 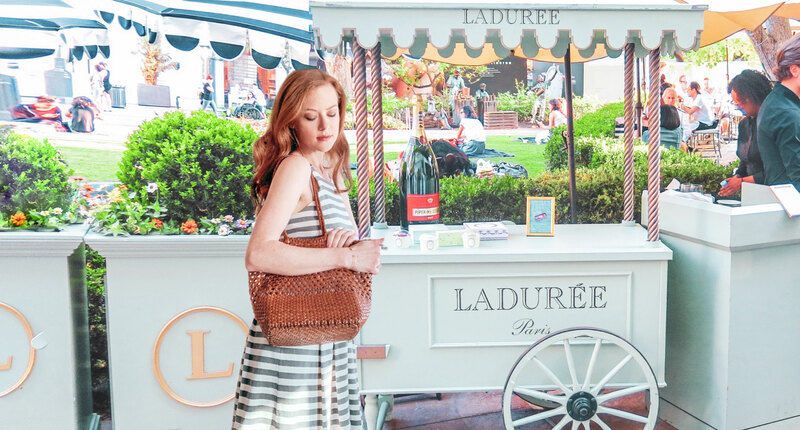 I was in Los Angeles recently when I happened upon Ladurée's new location at the Grove. 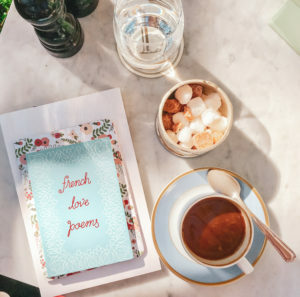 I had just so happened to have packed a precious little book of french poetry in my bag that morning, and felt as if packing the poems had manifested my own rosey trip to a Paris dreamland. 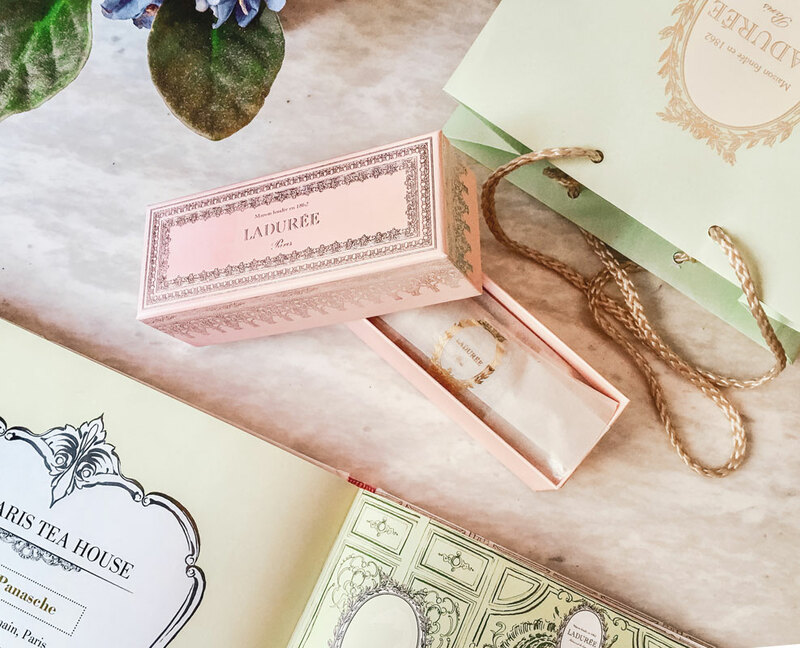 When I saw Ladurée I knew my day was made. 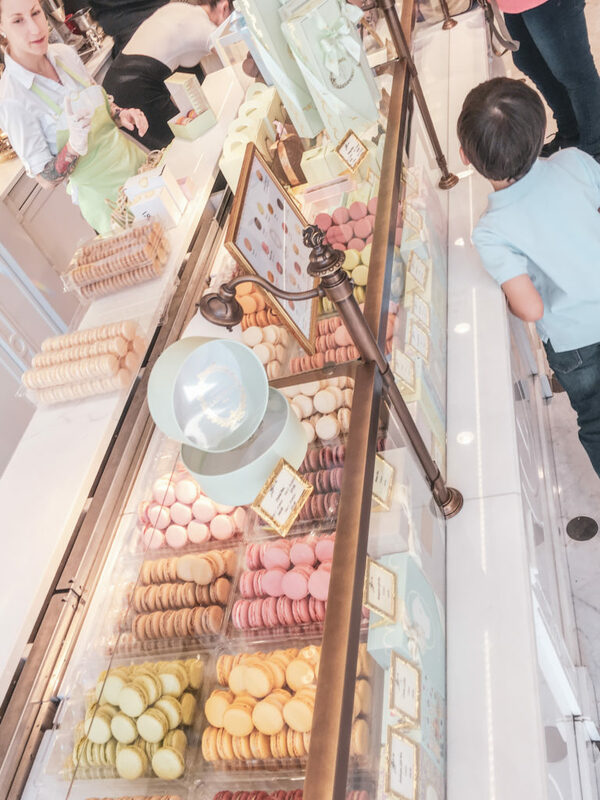 Touring the isles of sweets was a delight for the senses, with children and adults alike grinning wide-eyed at all the colorful macarons, chocolates and desserts. 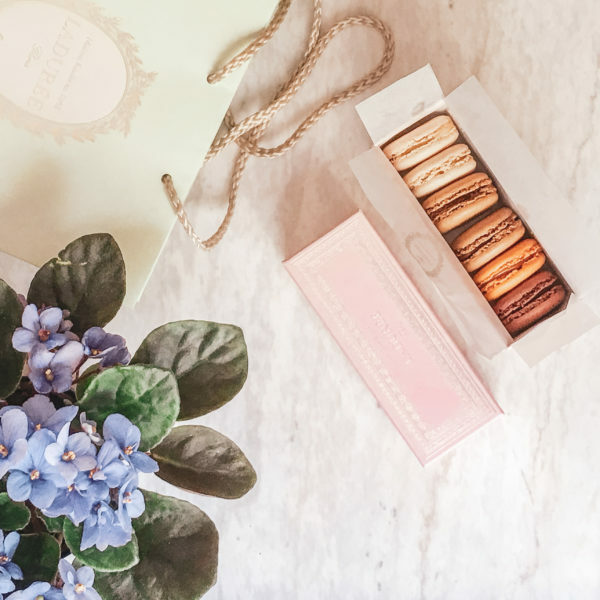 Though the bright pinks and purples are tempting, I ordered a box of macarons based on flavor, not color, as I have learned my favorites are chocolates, vanillas, and caramels. 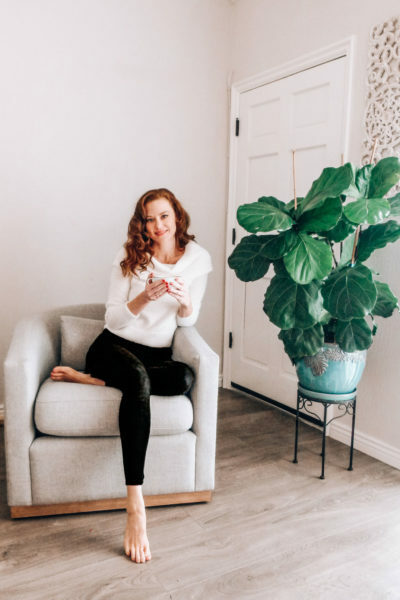 Then I took a seat in the garden patio for a latte and a light lunch of avocado toast. 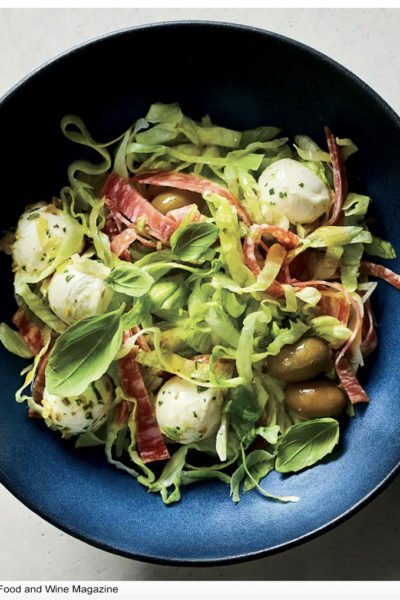 This was no ordinary California avocado toast. Piled high on flakey filo sat layers of avocado framed with asparagus and crowned by a delectable perfectly-poached egg. With Françoise Hardy playing in my earphones I sipped my latte and soaked up the California sun as though I was in another land. Quel bel après-midi! 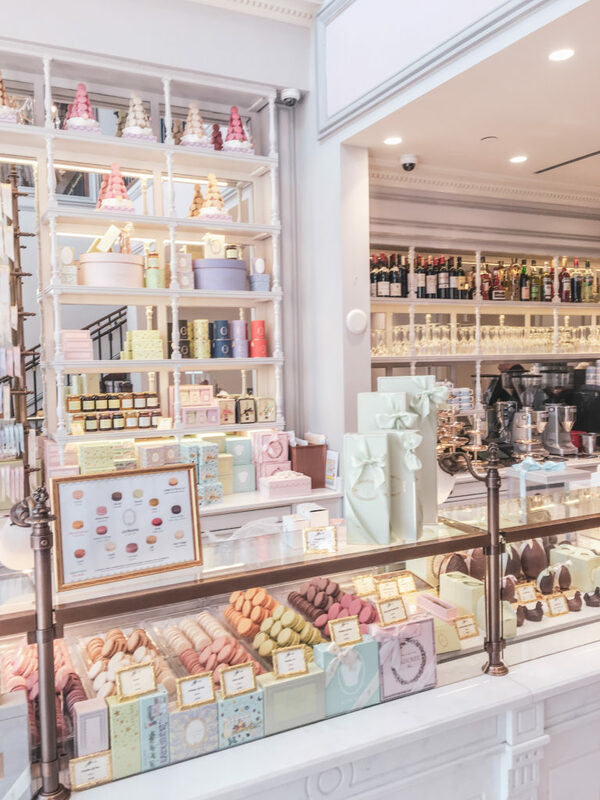 Until Paris calls, Ladurée is a beautiful and rare little treasure for West Hollywood, so if you are in the area, be sure to visit for a little Vie en Rose.